Our product range includes a wide range of steel mill duty crane. We are among the pioneers in the industry for wholesaling and trading Steel Mill Duty Crane. This product is efficient in lifting heavy loads and transferring them from one place to another. It is exceptional in strength and is operated by electricity. Being safe and easy to install in cranes, it is highly demanded in the market. 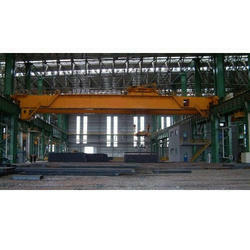 Looking for Steel Mill Duty Crane ?